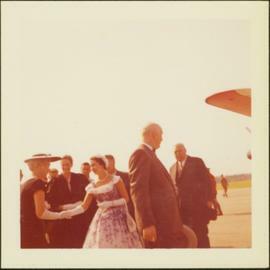 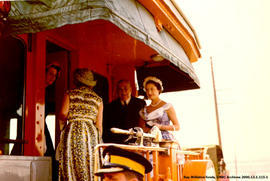 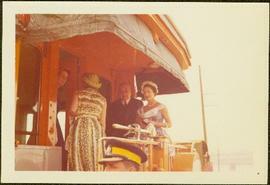 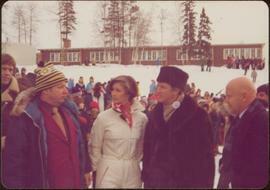 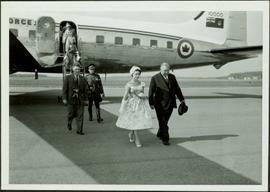 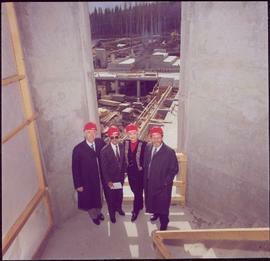 Photograph taken inside unidentified building, camera visible in left foreground.Handwritten annotation on verso reads: “Prince George”. 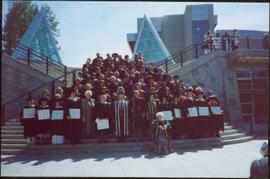 Photograph depicts group of 23 men and women posed for photo in gymnasium. 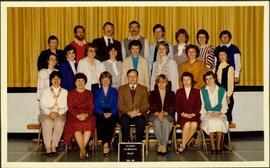 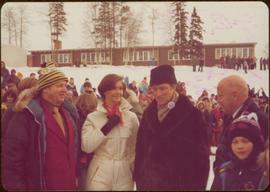 Plaque in foreground reads "QUINSON ELEMENTARY STAFF 1985 86". 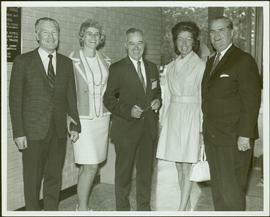 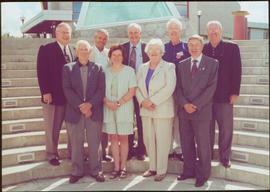 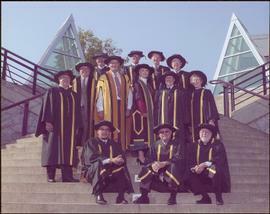 Bridget Moran stands third from left in middle row. 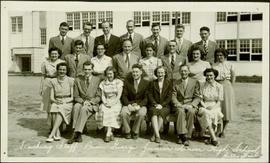 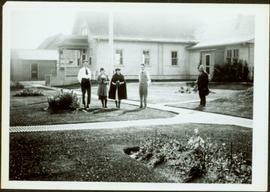 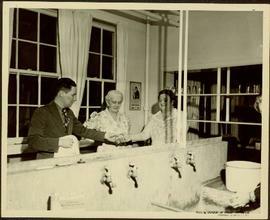 Item is a photograph of Mr. Williston with the teaching staff of the Prince George Junior Senior High School in 1946. 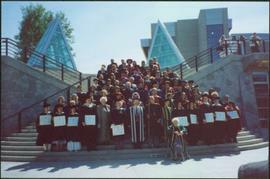 Mr. Williston is seated front row centre. 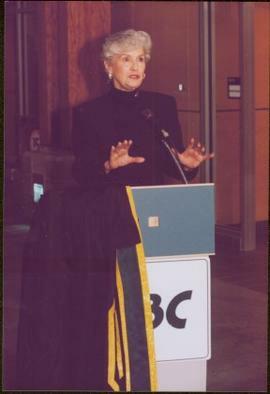 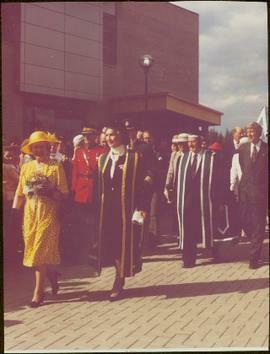 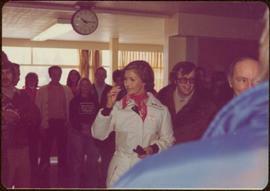 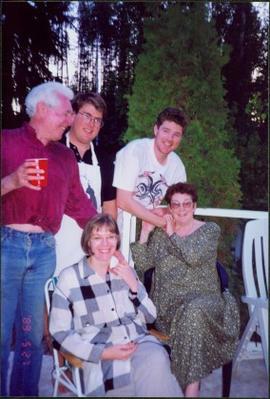 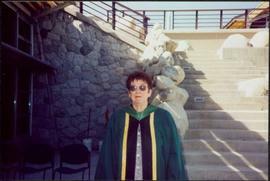 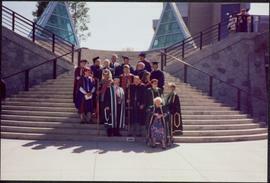 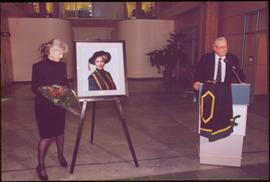 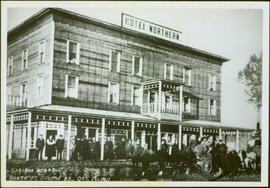 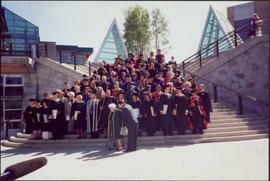 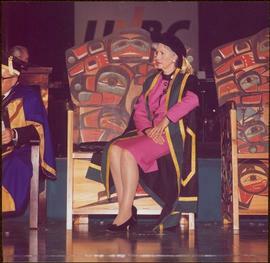 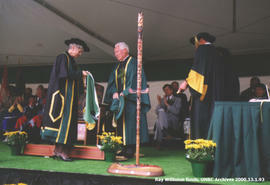 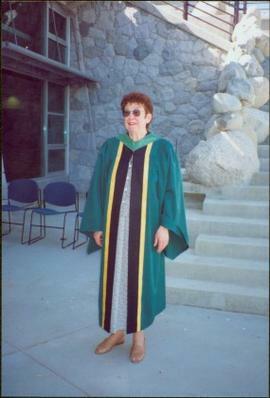 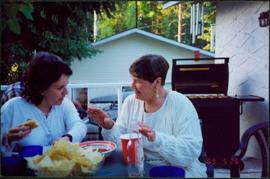 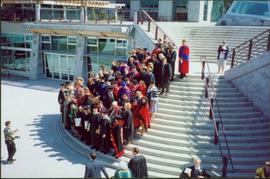 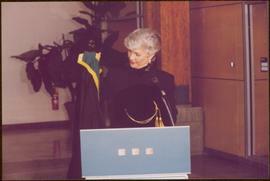 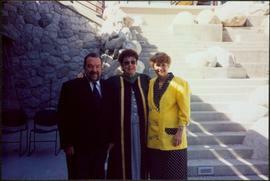 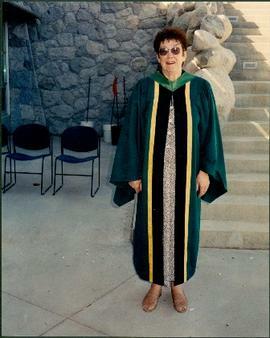 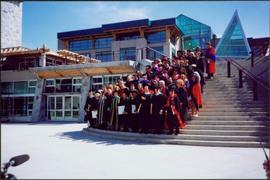 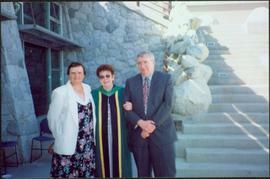 Photograph depicts Moran standing in full university regalia between Judy and Don Kennedy in the Agora courtyard at the University of Northern British Columbia in Prince George, B.C. 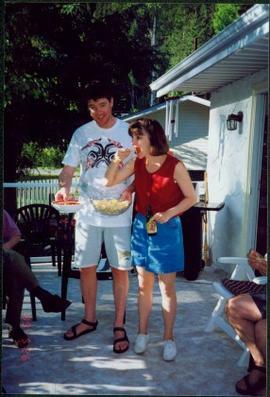 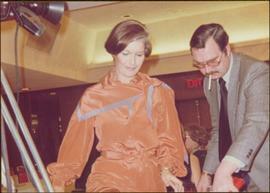 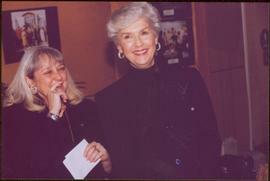 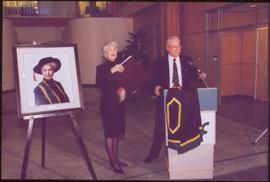 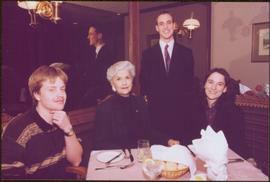 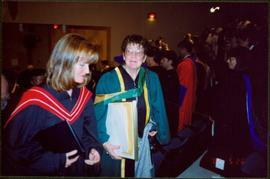 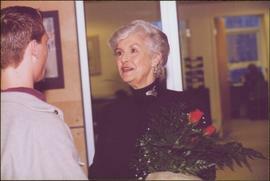 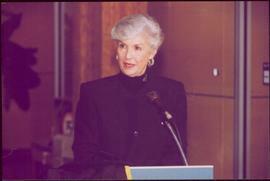 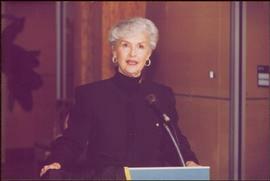 Photo taken on the day Moran received an Honourary Law Degree.